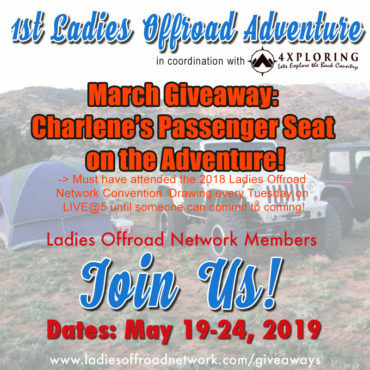 LGE & CTS Motorsports is all that I really requested from Charlene. I wanted some California style! Paint with metal flake, gold leaf, custom designs, air ride, and hydraulics. There were so many cool vehicles in their shop, which is run by ladies. They had two full functioning paint booths with a mixing room with wild colors. 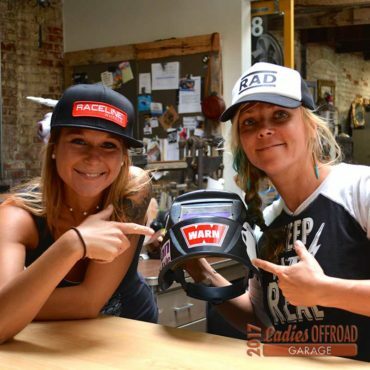 Sara and Theresa had so many answers for a fellow lady in the automotive industry. 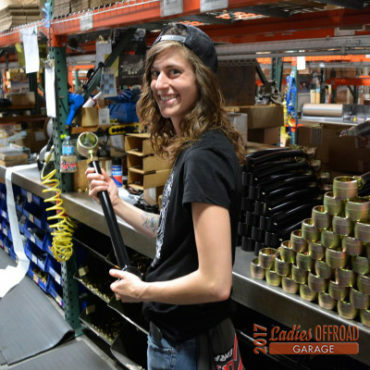 I learned a great deal about organizing, employment, products, and quality control. They are still reaching out to help us learn. I have plans on doing more pinstriping after they spent time showing us the basics. 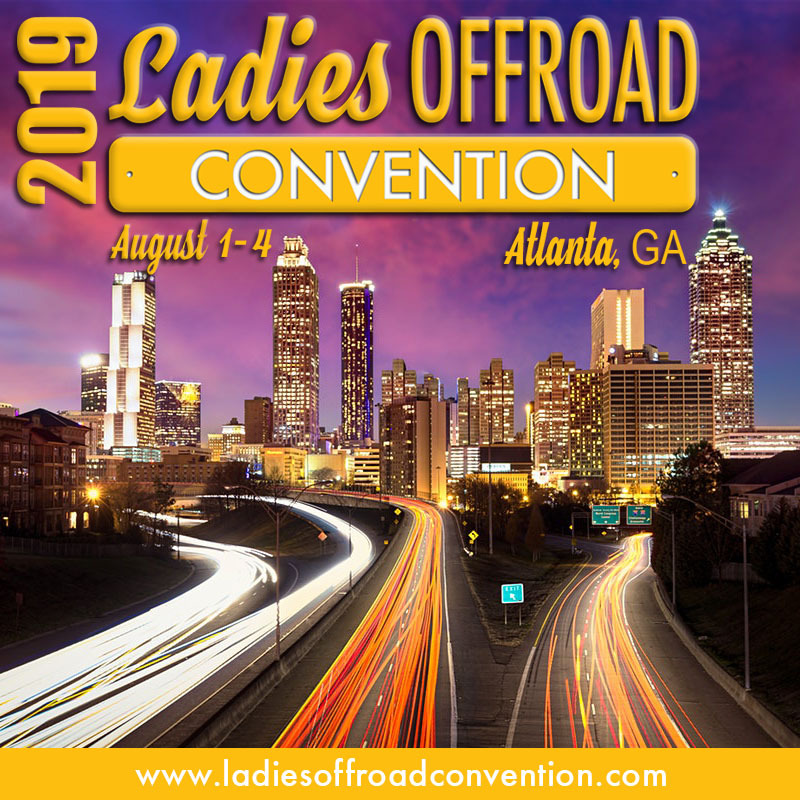 At the end of the shop tours, we had dinner with Sara and Theresa who were happy to talk about their experiences as ladies in the automotive industry. 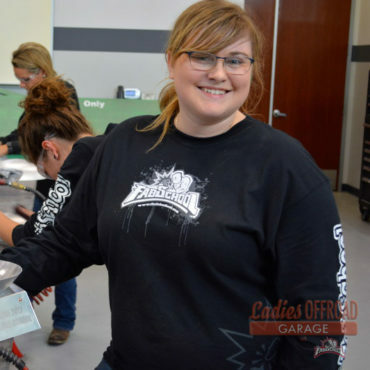 I learned so much in the short time of the Ladies Offroad Garage, but I definitely learned to be proud of the fact that I am a Garage Girl and that I am not alone in being one. I hope we can all come together and support each other knowing you aren’t alone in what you love to do. This event is one I will never forget and one that will never be duplicated. 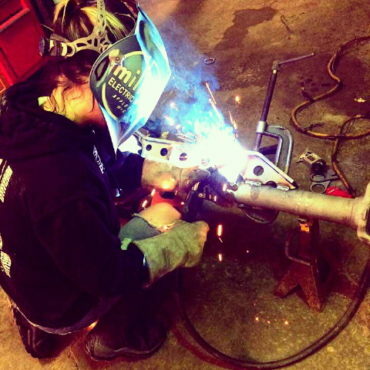 There’s a certain confidence that comes with being able to work, fix and create things with your own two hands. I was fully expecting to get a good dose of that feeling when we visited The Fab School. It was so much more than I expected! There were tons of tolls and techniques that I hadn’t even heard of, but I wanted to learn them all. The knowledge and atmosphere was infectious. 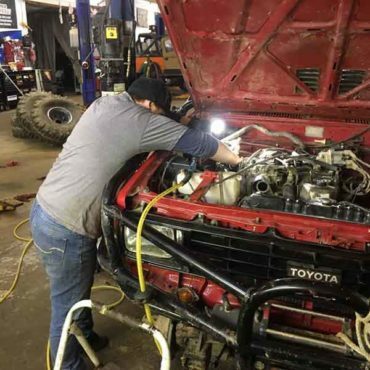 Between the shop and personal skills that we learned, I can’t think of a better way to set the tone for the rest of the weekend! 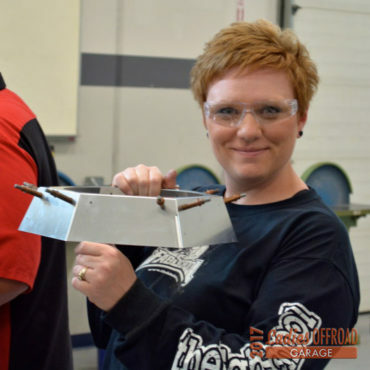 From learning MIG, TIG, and stick welding, to pinstriping a vehicle, to vehicle recovery, the skills that I never thought I would have the chance to learn were all given to me in this weekend, and I am forever grateful for that. I don’t know if I would have ever had the opportunities like I had this weekend, and I am excited to broaden my knowledge further and share my skills with those around me. This trip not only taught me new skills, but it deepened my understanding of the complexity of the off-road market. It opened my eyes to the value of a good product, the skillset that is required to make it happen, and the drive that these individuals have. I have gained a new level of confidence in the garage, that I am forever grateful for. 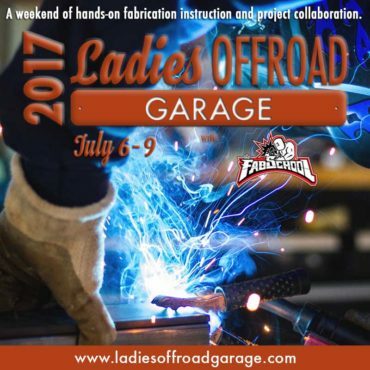 The Ladies Offroad Garage (July 6-9, 2017) is an opportunity for ladies that love to be in the garage to network with other like-minded girls while learning additional skills from trained instructors.